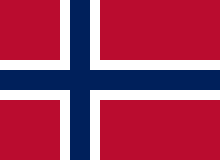 Norway competed at the 2015 World Aquatics Championships in Kazan, Russia from 24 July to 9 August 2015. Norwegian divers qualified for the individual spots and synchronized teams at the World Championships. ^ a b Volden, Tor Arne (21 July 2015). "VM i svømmeidretter i Kazan" [Swimmers at the World Champs in Kazan] (in Norwegian). Norges Svømmeforbund. Retrieved 28 July 2015. ^ Anderson, Jared (23 July 2015). "Norway names just three swimmers to World Champs roster". SwimSwam.com. Retrieved 28 July 2015.